1. What a story-teller! He easily beats Dickens when it comes to successful, labyrinthine plotting. The two men were friends, but it's easy to see that a fundamental difference in attitude to the construction of a novel would have set up tensions between the two men. For Collins, a novel is basically as good as the plot--though his characterization can be convincing too. Dickens, in contrast, believes a novel to be largely based on characterization and emotional sympathy with the characters. Plot is secondary and, in Dickens' case, often haphazard. Both approaches can work, but in many ways it is Dickens' approach that has aged the worse: his lack of emphasis on plot gave him too much time to indulge in a fault common to most Victorian novelists: maudlin sentimentality! 2. Collins makes good use of another staple to Victorian novelists: the use of many voices to tell the narrative. Most of his novels are a series of diaries, journals and letters written by various characters within the story. If handled well, this is a good technique for telling a story. The problem comes when the character is too limited to his or her social station to fully explicate exactly what's going on. Another drawback can be the very choppy nature of the narrative, jerking to and fro between different voices. 3. Collins is by no means unique in the Victorian world for his belief in providence or destiny. However, his books have the seeming fault of mostly being constructed on a whole series of unlikely coincidences. If two people knew each other in Italy or elsewhere on the continent, they are absolutely certain to meet again, purely by chance (or is it destiny? ), in the streets of London. Anyone who has a belief in destiny or karma will easily find a way to forgive this particular idiosyncracy, but there is no denying that in the context of a novel, too many coincidences piled on top of each other do begin to jar. 4. As in most Victorian novels, the need to conform to a very conventional morality does, at times, make for heavy reading. Fortunately, Collins' plots are usually so delightfully byzantine that one doesn't need to dwell on this for long periods (Collins himself kept two women and had 3 children--all out of wedlock). 5. Another source of conflict with Dickens must have been Collins' essentially upper class background. His father was a painter and fellow of the Royal Academy. What a contrast with Dickens' "bootshining" background! In terms of his writing, Collins' social position meant he was always happier describing the doings of upper class and aristocratic society than the ambience of the common man. Many of his novels have a well-to-do, country-house setting. 6. 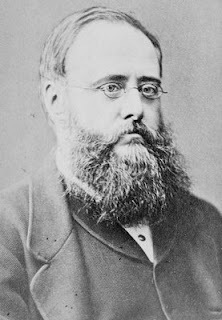 More than most Victorian writers, Collins desrves to have his reputation re-evaluated. He wrote 30 novels--and a good two-thirds of them should still be available in cheap editions (though the advent of the Internet means most of his books are now available absolutely free).